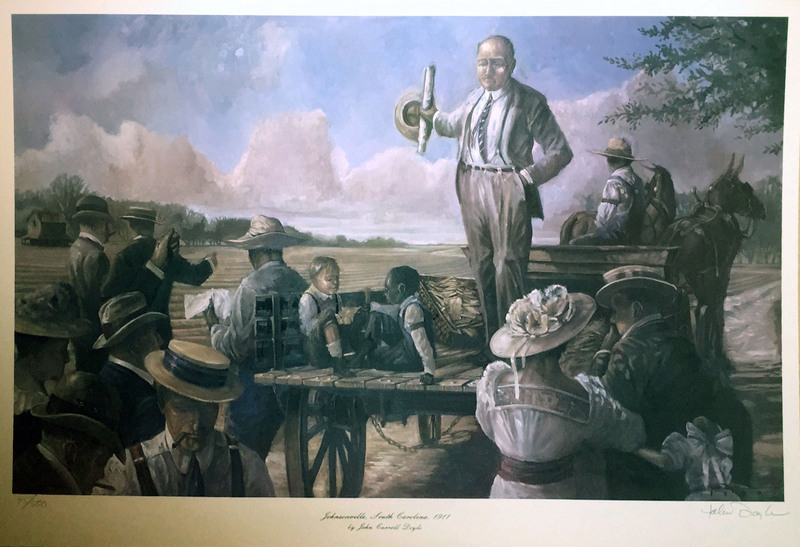 "Johnsonville South Carolina 1911" by John Carroll Doyle depicts S.B. Poston and the land sale of 1912 that led to Johnsonville's current downtown commercial area. 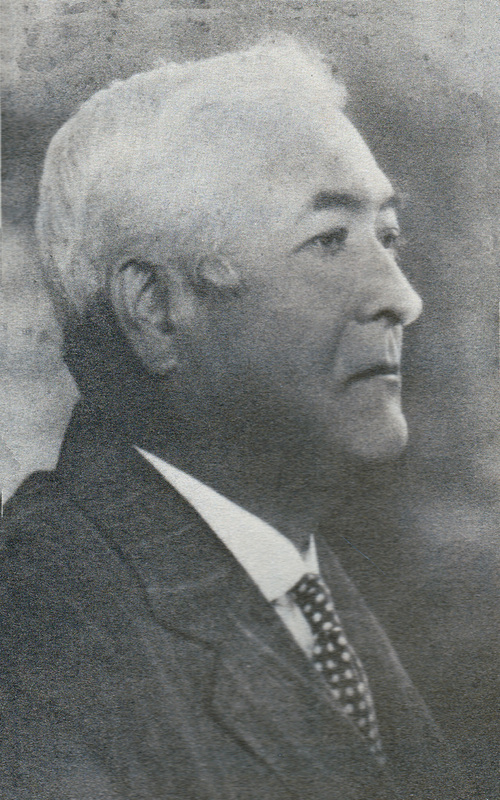 In 1912, Sylvester Briley "S.B." Poston (1867-1932) divided a sandy pasture into lots and held a land sale, starting what would become the downtown area of Johnsonville. S. B. Poston was born in the Half Moon community, the son of Simon and Sarah Bartell Poston. For a number of years as a young man, he was engaged with his father in large merchandising, turpentine, and farming interests. He married Claudia Belle Weathersbee in 1900, and in 1901 the two made their home in what would later become Johnsonville. Claudia was a native of Williston, SC. Their home was regarded as the first home in Johnsonville and S.B. and Claudia were the first residents of the newly planned town. It was no doubt S.B. 's experience with merchandising that led him to hatch the idea of a centralized town plan to conduct such matters 11 years after establishing his homestead. 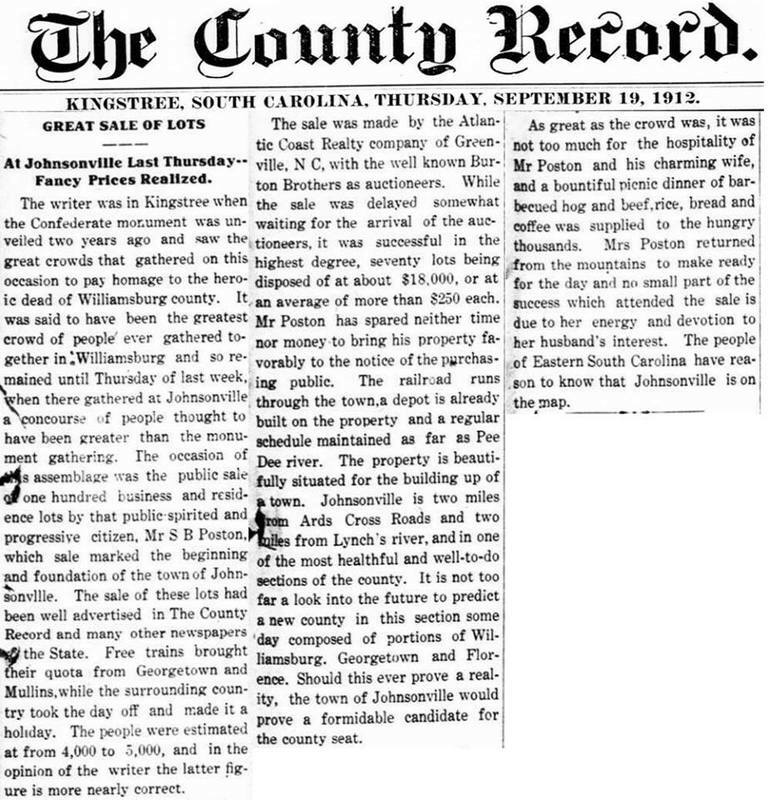 The County Record newspaper covered the land sale, describing S.B. Poston as a "public-spirited and progressive citizen." At the sale, 100 business and residential lots were offered and free trains brought up to 5000 people to the area for the sale. At the end of the day, 77 lots were sold at an estimated total of $18,000 - over $440,000 today if adjusted for inflation. S.B. and Claudia were both founding members of the Johnsonville Methodist Church, originally located at the intersection of Broadway and Highway 41. He was instrumental in the construction of both the sanctuary and the parsonage, giving freely of his time and money. 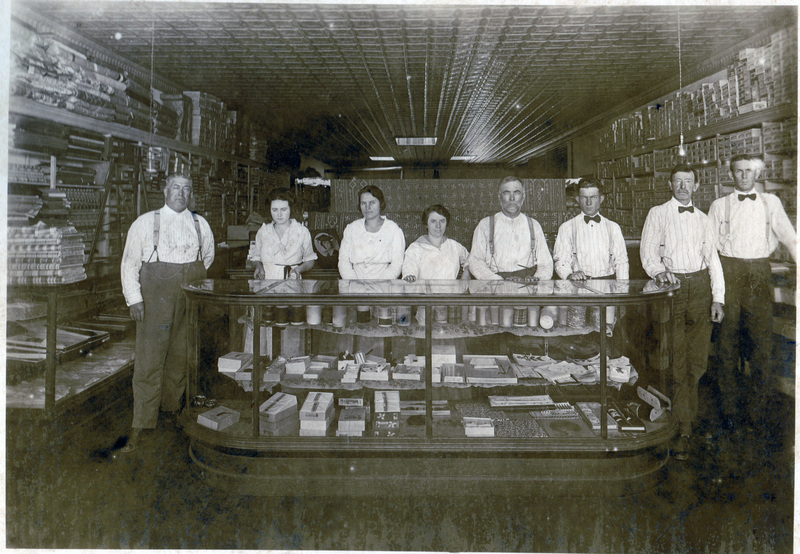 After the founding in 1912, he continued to conduct extensive merchandising, lumber, and farming interests. He was also involved in the banking industry. S.B. Poston died at the infirmary in Florence on Dec 23, 1933. He is buried at Old Johnsonville Methodist Church cemetery between Johnsonville and Hemingway. Children of S.B. and Claudia were Ella Russell Poston Hyman, Sullivan Weathersbee Poston, Emmie Belle Poston Taylor, Lucia Smith Poston Stoneman, and Sylvester Poston Jones.